We The Printers is a one of a kind printing company that provides extremely customized print jobs, focusing on detailed workmanship and service. 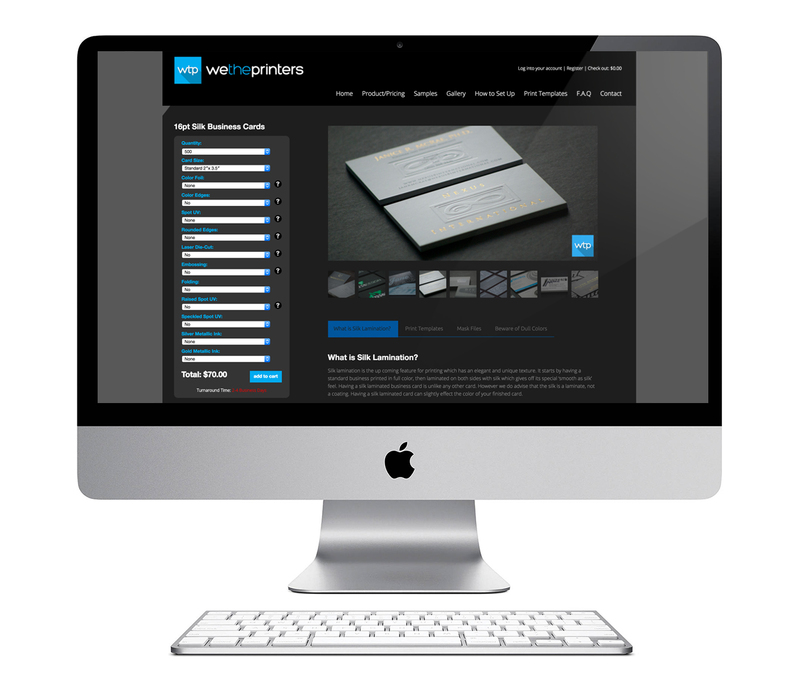 They needed an elaborate product order form for their printing business which would allow customers to submit print orders online. With highly sophisticated product options and customization requirements, Fire Lite Design Studio created a custom order form specially for their FoxyCart (an off-site e-commerce system) integrated with the WordPress website.